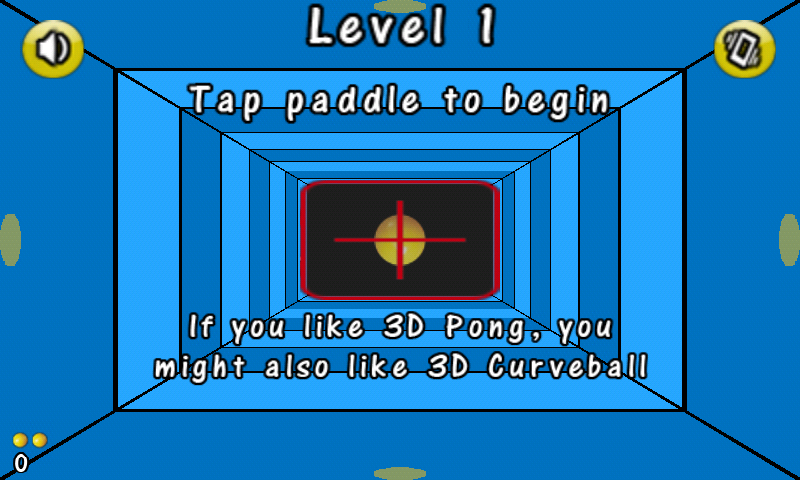 3D Curveball is a simple game that is available for most Android and iOS devices. It’s quite literally Pong with an extra dimension. The ball travels around in 3D space, and your paddle is now 2 dimensional instead of just a line. Search for “3D Curveball” in the Android Market or Amazon Appstore, or “3D Curve Ball” in the iTunes App Store. The goal is to stop the ball from getting by you, and to try to get the ball to pass by your opponent. The best way to do this is to alter the direction of the ball when it arrives at your paddle. This is accomplished by moving the paddle as the ball arrives. If you are moving the paddle to the right when the ball arrives, the ball will curve to the left. The computer opponent has a maximum speed that it can move in each difficulty setting and level, so the only way to win is by making the ball move faster in the X and/or Y directions than the opponent is capable of moving. 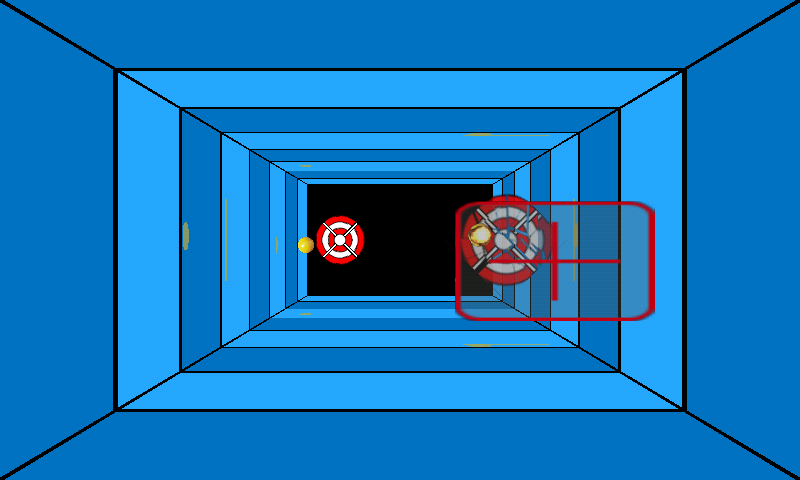 In “Target Mode,” you will need to use the movement explained in the previous section to try to hit the targets. In order to beat each level, you need to hit each of the targets. When you hit a + shaped target, the ball will bounce off, exploding the target. When you hit an X shaped target, the ball will explode along with the target. When you hit a rotating semi-transparent target, the ball will shatter it and continue moving in its original direction. When you hit a blue tile, the ball will bounce off. When you hit a red tile, the ball will explode (don’t hit them!). Since some levels are actively changing even before you release the ball, the timing of the release can often be critical.